This Victorian Thanksgiving Postcard is a such a cute Image! 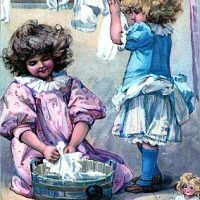 Shown above is an Antique card with 2 children, a boy and a girl. 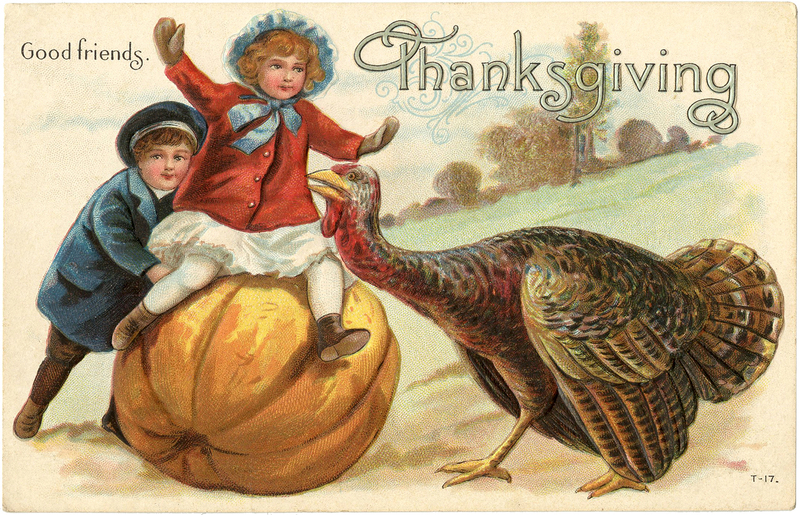 The girl is sitting on top of a great big Pumpkin and a large Turkey seems to be joining in on the fun! According to the caption they are all “Good Friends”! You might also like a White Thanksgiving clipart Turkey that I posted recently, you can find him HERE. 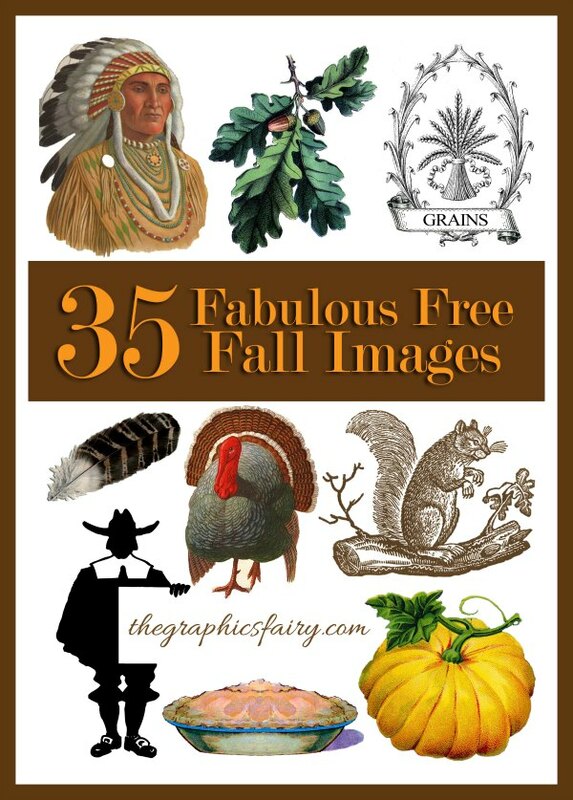 The two would go together quite nicely for your DIY Thanksgiving Projects!